Although Google’s midrange smartphone is launching in the somewhat near future, we’re now seeing the first leak of what could be the successor to the Google Pixel 3 XL. Yeah, the one with a huge bathtub notch. Today’s leak comes from SlashLeaks in the form of the following two-dimensional drawing. Although it’s far too early to confirm the authenticity of the drawing, the guys over at Phone Arena have made a realistic mockup render of the leaked design. Let’s take a closer look. 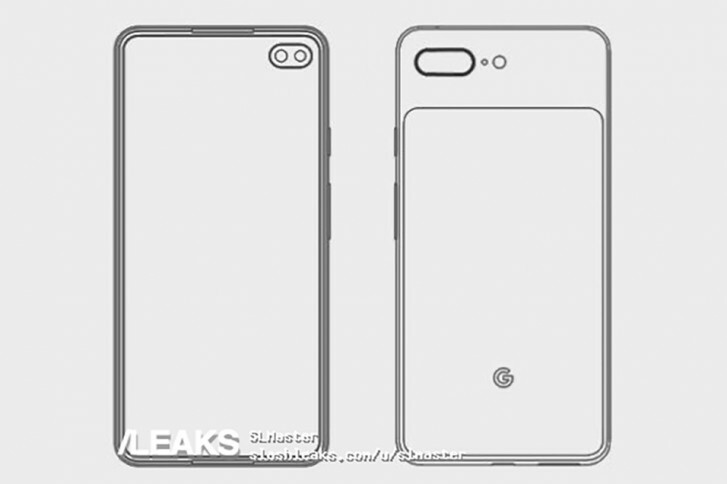 For starters, the front of the phone looks a lot like the Samsung Galaxy S10+’s. There’s a dual-camera setup at the front of the phone which would presumably feature the wide/standard cameras as we’ve seen on the Pixel 3 and 3XL. As for the bezels, well there are barely any bezels around the phone. There are also two speaker slits – one above and one below the display. In all the edge-to-edge phones that we’ve seen in the last year or so, there is usually either a notch or a thick bottom edge and this drawing looks like it would have a uniform bezel all the way around the perimeter of the display, like the current-gen iPhones – well, minus the notch. Although it wasn’t specifically seen in the drawing, the creator of the render suggested the phone could have an in-display fingerprint scanner. We wonder if Google will go this route at all or if it would opt for a side-mounted fingerprint scanner. The other interesting tidbit is the dual-cameras on the back. 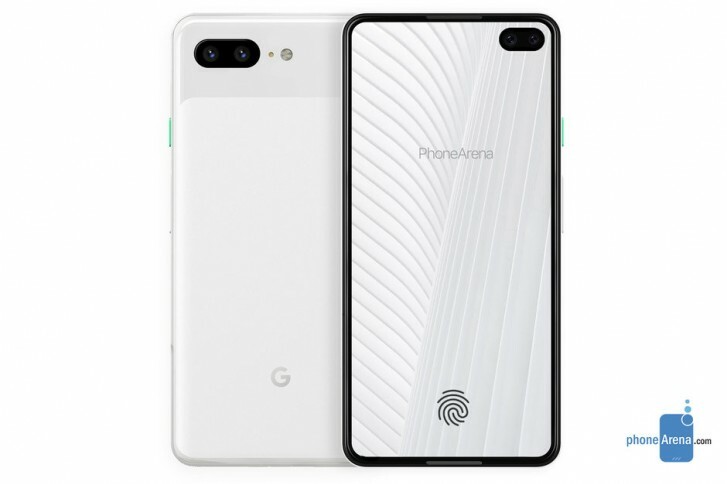 Although we saw the standardization of dual cameras and are now seeing triple cameras become more standard in the industry, the Google Pixel 3 and 3XL launched with a single camera. If Google decided to go dual this year, we wonder if it would offer features outside of just being able to switch between standard and wide cameras. We’d expect the Google Pixel 4 to be announced at a future Made By Google launch event, which usually takes place around October. What do you all think of this mockup? Is it everything that everyone wants from a Google Pixel phone? I'd get a 4XL if this design language remains!